The Tlingit and Haida, indigenous peoples of the Northwest Coast (NWC), have used carved wooden hooks to catch halibut for centuries. As modern fishing technology crept into use, however, the old hooks practically disappeared from the sea. But they thrived on land — as decorative art. 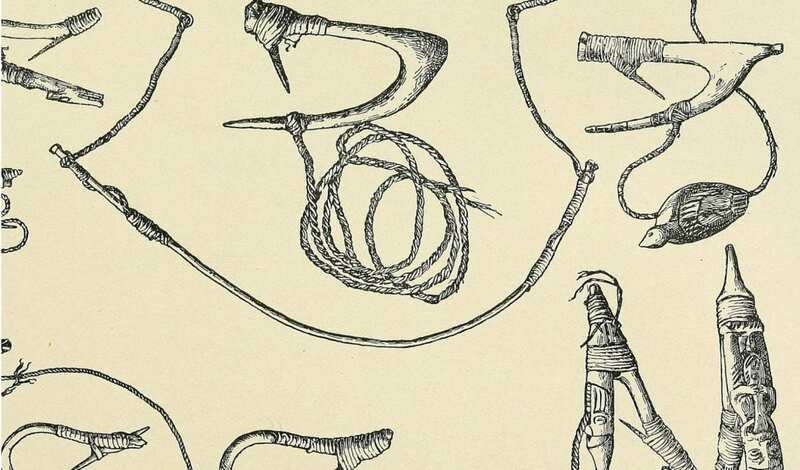 But as modern fishing technology displaced traditional gear, wood hooks began to change, varying greatly in design and dimension from early versions. These “art hooks” were created as decorative objects, often depicting animals important to NWC traditions and using materials such as abalone inlay. In addition to its contributions to academia, the research will benefit NWC carvers of wood hooks. Malindine has shared his work with them, allowing them to see what the hooks looked like as many as 150 years ago. “The Alaska Native carvers and Tribal members with whom I’ve shared these images and dimensional measurements are just happy to see them,” he said. “These hooks are part of their cultural heritage, and have basically been locked away in storage facilities — sometimes for a hundred years. Malindine’s study of the hooks came through his participation in the Summer Institute in Museum Anthropology (SIMA) program, which is funded by the Smithsonian Institution and the National Science Foundation. He was one of 12 graduate students chosen from around the country to learn to use museum collections as field sites for research.